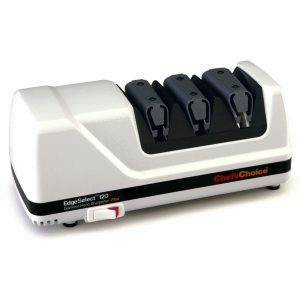 Chef’s Choice calls this the most versatile electric sharpener because of its ability to restore 15 degree edges on Asian style blades and 20 degree edges on European style blades. Scroll down to see what I think! Chef’s Choice is a brand that needs no introduction. With over 100 patents, they are no stranger to the world of knife sharpening. Below is a comprehensive list of pros and cons that you will want to read! 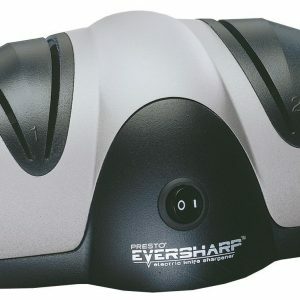 A 2-stage system designed to sharpen 20 degree European/American edges only! 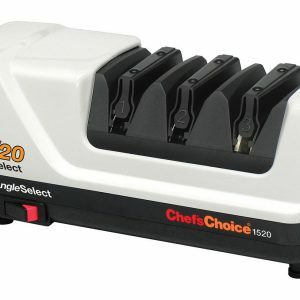 Available in 5 different finishes, the 320 is a slightly cheaper option from Chef’s Choice product lineup. Pros and cons below! 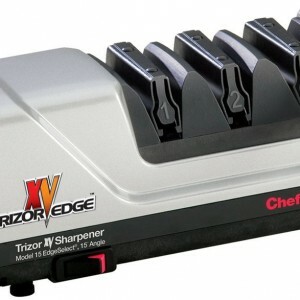 Chef’s Choice Trizor XV: A highly acclaimed sharpener that converts 20 degree edges to super sharp 15 degree edges. But is this always a good thing? To see what I think, scroll down below! Cheap and very highly rated. Is all the hype around this actually deserved? Keep reading to find out as I provide a complete breakdown of the good, bad, and ugly below! 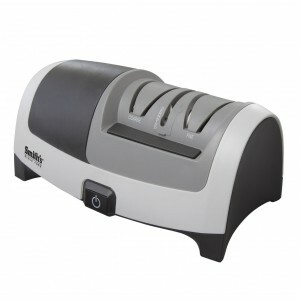 A budget 3-stage electric knife sharpener, that’s exactly what this is! But how well is it able to convert a dull blade into a sharp one? In today’s review we scrutinize this device and provide an extensive list of pros, cons, FAQ’s, and a final recommendation. Scroll below to keep reading! For anyone on a budget not looking to spend too much, this will definitely be something you want to consider. 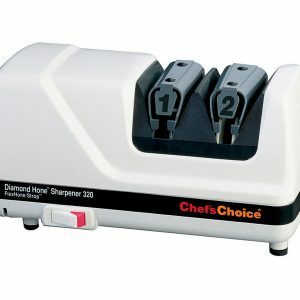 Not only is it cheap, but this single stage hybrid also combines both manual and electric sharpening elements. See the full list of pros, cons, FAQ’s and a final recommendation below! Know how you have that one kitchen appliance/tool that isn’t the best, but isn’t the worst either? That’s exactly what this is! If you’re considering buying this, I beg that you read my review before doing so. Trust me, you’ll thank me in the end! 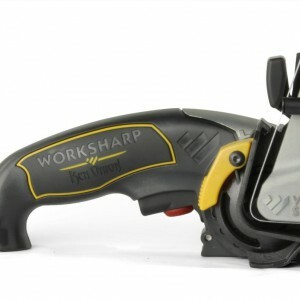 A collaboration between Work Sharp and American knife-maker Ken Onion results in this versatile knife and tool sharpening system. 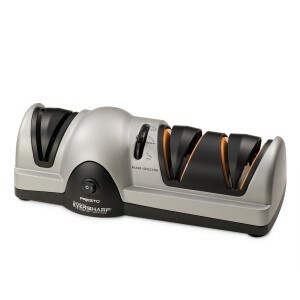 This isn’t like any other electric sharpener and If there’s one thing this screams out, it’s pure innovation! Pros and cons below. 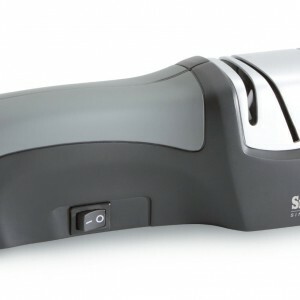 An incredibly versatile sharpening solution that is capable of working on a variety of different knives and tools. And the best part is it’s actually quite reasonable! Scroll down to read the full review. 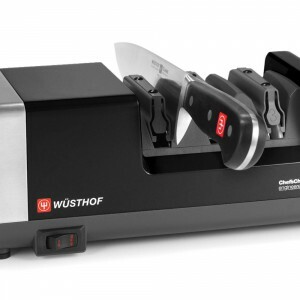 Chef’s Choice and German knife-maker Wusthof collaborate to produce this 3 stage sharpener that promises to deliver wicked edges. 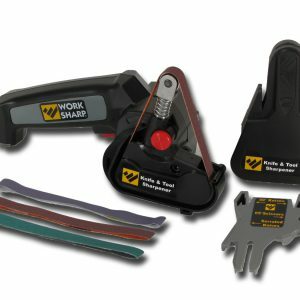 Wusthof are a brand well known for producing high quality, high performance knives, but how do they rank in the field of knife sharpening? Keep reading to find out!